Bringing you this Japanese/Asian inspired recipe that you can find its ingredients laying in your fridge and pantry! with ingredients that I’d assume every house has. 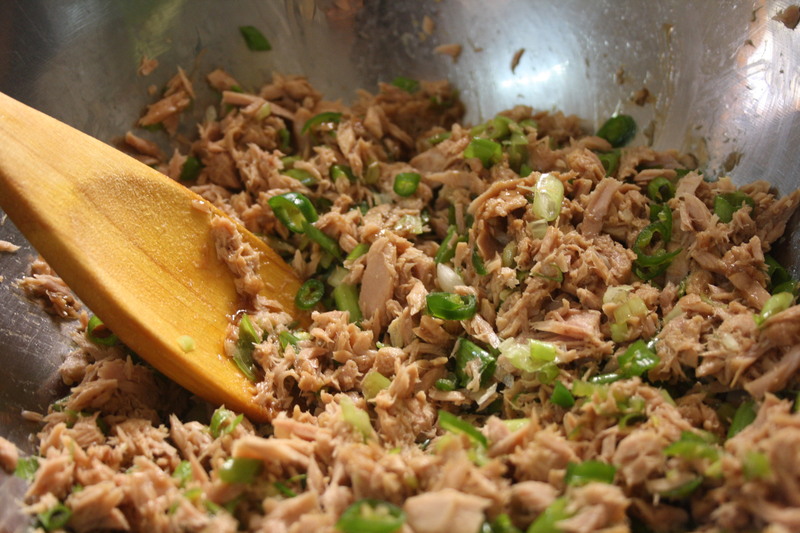 add it to the tuna and add the oyster sauce and mix them all together. 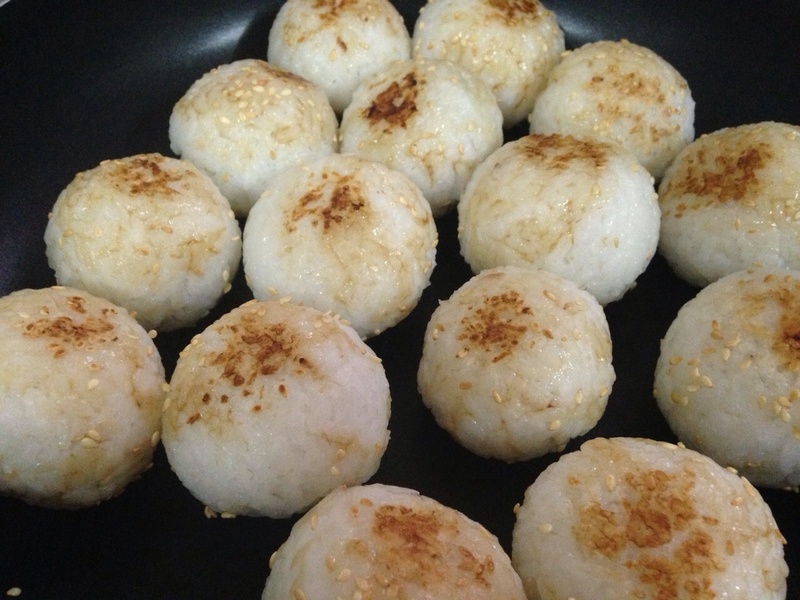 to make the rice balls, you can use your hand or a piece of saran wrap (I recommend using the plastic wrap and your hands damped in water to make a perfect ball). 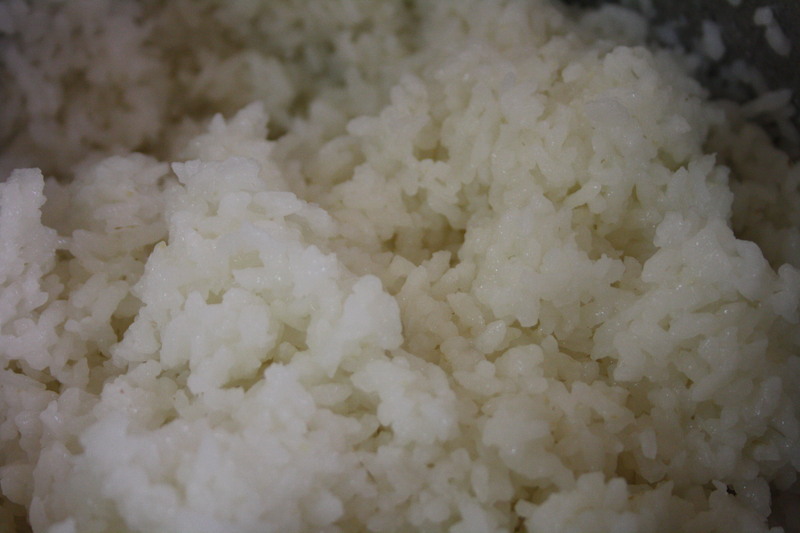 spread two heaped table spoons of rice in the palm of your hand or the plastic wrap and fill it with a table spoon of the filling. 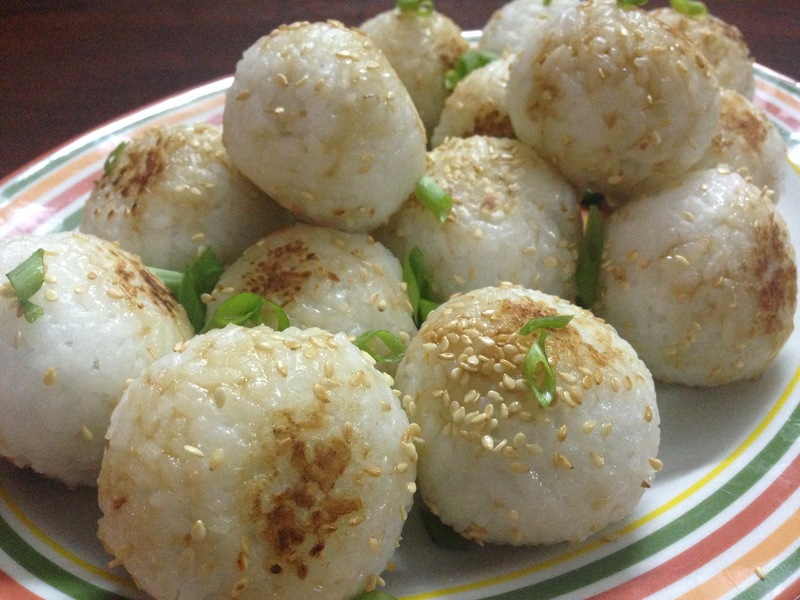 brush them with soy sauce and sprinkle them with sesame seeds. toast in a pan with a little bit of oil.